The upcoming world Judo championship in Paris is one of the most important dates for the athletes ahead of the London Olympics. Russia’s hopeful Vera Koval will be aiming to accumulate enough points there to qualify for the 2012 Summer Games. When Vera Koval was just a child her mother wanted her to go to a dancing school or take up knitting and embroidery. But, by her own admission, she has always been a sort of a tomboy and loved to fight. It was already obvious that she would become a professional athlete. Mom, though, wanted her daughter to have nothing to do with combat sports and sent her to track and field instead. “When I was 16, I met a girl who was a wrestler and she took me to a wrestling club for the first time. I went there secretly for a month and my parents had no idea. My Mom was shocked when she found out. She thought this can’t be the right sport for women. But I managed to turn her around when I started winning,” Vera recalls. 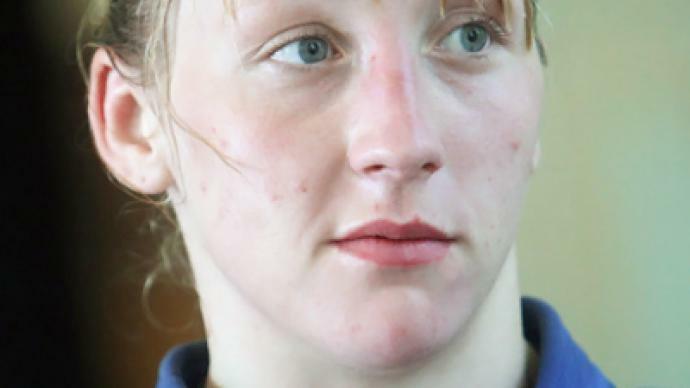 She is currently ranked the number 17 in the world according to the International Judo Federation. And if she proves her mettle at the World Championships in Paris, she stands a good chance of representing Russia in the under-63 kilo category at the London Olympics. “We try to be among the top 14 in the ratings in every weight category in order to be able to go to the Olympic Games. I think that each of us can win the right to be in London and each has a chance to win a medal at the games. Our positions in the ratings are stable,” she says. Each country will be represented by only one athlete in every weight category at the Summer Games – that is seven for men and seven for women. Russia has its eyes on getting a place in all 14, and the tournament in Paris will set apart the winners and losers. “The World Championship in August will be a testing stage for our athletes. We’ll have an entire year before the Olympics in London where we hope to win medals. The recent European Championships show that we have a strong national team,” explains the team’s coach Anatoly Laryukov. From August 23, Russia’s finest have six days to make good on those promises before getting fighting fit for London 2012.